Last year, Lil Wayne was ordered to pay child support as the result of a paternity case that was filed back in 2015. 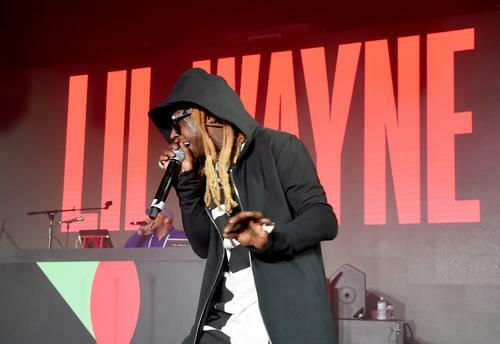 The judge granted the plaintiff's request and order Weezy to pay $5,000 a month, an arrangement that went into effect a year ago. The rapper was also deemed to be on the hook for the kid's medical expenses. Now, Wayne is claiming that he's not the father and therefore not legally responsible for any payments for here on out. "In the newly filed docs, Wayne says he was never served with the legal papers and that’s why he never showed up to court. He claims Watson obtained the judgment by fraud, saying the allegations in her complaint are false and do not prove he is the father. Wayne signed a declaration in which he says, 'I did not engage in a sexual relationship with Keiotia Watson in June of 2001 or at any other time'." He later went on to state that, while he was residing in New Orleans at the proposed time of conception, he has never acknowledged Watson's son as his own, nor was he ever made aware of the birth until he was made aware of the petition. He also claims to never have been involved with a child support case other than this one, which he says is fraudulent. You can use our guide to start out farming.